If only Iannis Xenakis’s music were a little more like Chopin’s, his biography would long since have been seized on by the film industry. It is undoubtedly the most romantic (true) story of a genius triumphing over adversity in the history of modern music, and perhaps in all of twentieth century art. Born in 1922 to Greek parents living in the Rumanian seaport of Brai’la, he lost his mother, an enthusiastic pianist, at the age of five. At school, in constant conflict with music teacher (and others), he excelled at sport. He joined the wartime resistance, was gravely wounded at the end of 1944, was sentenced to death by the right-wing post-war regime, and eventually managed to escape to Paris. Here, miraculously, his training as an engineer at the Athens Polytechnic helped him to an illegal job in the studio of the great French architect Le Corbusier. Lonely, and still in despair, he was probably saved from suicide by his meeting with an equally alienated and desperate young woman who, as Francoise Xenakis, was later to become a highly esteemed novelist. His dream of an utterly new kind of music, a music of huge shifting planes and densities, alloying modern science with ancient cosmologies, suddenly became realistic through his architectural work. Certain etches for buildings also served as the basis for musical compositions. The first works, violently at odds with both conservative and avant-garde orthodoxies, provoked legendary scandals but also gained fanatical adherents. In the next few years, works overtly designed to exemplify sophisticated mathematical theorems – especially those dealing with the laws governing ‘chance’ distributions – caused further controversy, especially when their realisation was partly entrusted to an early IBM computer. But in Paris (which Xenakis was to describe as ‘the modern Athens’) support gradually amassed. In the late sixties, as intellectual unrest fermented and student movements exploded in the ’68 uprisings, Xenakis’s music augmented in passion, without ever renouncing its logical and mathematical precepts. Group theory, Markoff chains and Brownian motions, far from removing emotion from contemporary music, now provided a new basis for it to flood back in. 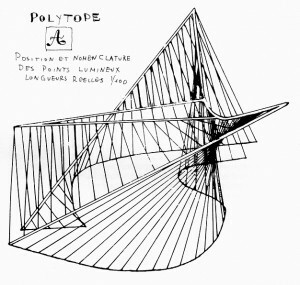 Along with the concert hall compositions came ‘spectacles’ such as the multimedia Polytopes (music, architecture, light) and, at the other end of the spectrum, research into computer aids to composition capable of great sophistication but also accessible to the innocent experiments of small children (the UPIC). Of the cardinal artistic documents from the late sixties, Kraanerg is one of the most overpowering, and yet one of the least known. Even the legions of Xenakis’s admirers throughout the world know it, for the most part, only from a five disc set of his music, issued in the early seventies in a suitably sombre and imposing black box. Perhaps the sheer length of the piece told against it — seventy-five minutes amounted to a whole evening in the concert hall or in the theatre, the length of two Rites of Spring in effect, and its monolithic intransigence is still enough to intimidate any but the boldest choreographer. The French critic Maurice Fleuret, present at the premiere in Ottowa in 1969, surmises that the first choreographer, Roland Petit, was probably rather overwhelmed by the cataclysmic music on the one hand, and the dazzling optical games offered by Victor Vasarely’s suspended opart cubes on the other, and found no authentic space of his own. 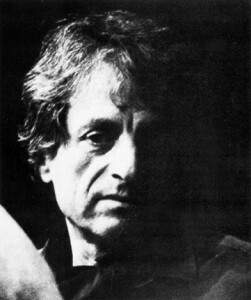 Xenakis himself, in an interview given a few months later, said “Since the music is self-sufficient, or should be, the dance should be something else… the relationship should not be exact, but blurred, relative … a peaceful coexistence (in which peaceful can also imply contradiction) between music and dance”. Kraanerg is one of the few works of Xenakis to place two media that he normally prefers to explore separately – electro-acoustic music and the orchestra – in a situation of juxtaposition and confrontation. His electro-acoustic music has almost always been linked to some kind of transcendental spectacle, whether it was for the Philips Pavilion that Xenakis himself designed for the Brussels World Fair in 1958 (Concert PH), for the Polytopes – epic interactions of architecture, light and sound – of Montreal, Cluny and Mycenes for the ruins of the ancient Iranian city of Persepolis, for the Japanese Space Pavilion at the 1970 Osaka World Fair — Hibiki Hana Ma, or for the Diatope in the Parisian Place Beaubourg – La Legende d’Er. Always the ancient or the ultra-modern: for Xenakis, who once described himself as “a classical Greek living in the twentieth century”, there is no comfortable mediating factor (such as the History of European Civilisation). On the one hand, the music of Kraanerg is uncompromisingly modern; on the other, it seems to invoke a terrifying, almost primeval world in which savage deities wage war on the various monsters that populate ancient Greek myth. It is a music of extremes — very high or very low, very loud or very soft: as if one were standing on either the base or the rim of some massive crater, gazing down into the darkness, or up at the distant sky, but in either case only dimly aware of the gigantic linking walls. Its extreme gestures are partly a matter of temperament, but also partly a reflection of recent history. If the fifties were a time for ‘purism’ — for the formation of cold and rigorous theories, and the composition of works which unflinchingly exemplified them — then the sixties saw the birth of an initially cautious pluralism, which soon escalated and exploded into anarchic diversity: a period of unbridled hopes and fears. So too with Xenakis. A couple of early, iconoclastic works (Metastasis, Pithoprakta) full of vibrant, startling post-Varesian sonorities soon gave way, in the late fifties and early sixties, to a series of drier, more speculative works, of which only Herma for solo piano and Eonta for piano and brass seem to point towards a new hyper-expressivity. But in the mid-sixties, spurred on above all by a series of stage music for plays by Aeschylus and Seneca, Xenakis seems to rediscover and reformulate the Varese legacy: the intelligence and, especially, the energy that is latent in sound itself. Suddenly, his music becomes an exemplar of Heraclitean flux: every element of sound — pitch, duration, loudness and timbre — is destabilised, each sound begins to throb. One could scarcely find a better example of Yeats’s “terrible new beauty” being born. The orchestral works which immediately precede Kraanerg (Terretektorh, Nomos Gamma) are, in Xenakis’s terminology, “sonotrons” in which the musicians are seated amidst the audience, and sound is stochastically dispersed throughout the auditorium. In Kraanerg the musicians are, admittedly, back in the pit, though the sounds they make are normally relayed around the auditorium by means of amplification. However, they are still in open combat with an electronic orchestra in absentia — a pre-recorded tape consisting mainly of transformed orchestral sounds which seem to evoke both antiquity and the future, thus hemming in the ‘present’ of the live orchestra. In his programme note, Xenakis talks of the biological struggle between future generations which underlies the conception of Kraanerg; and even at the prosaic level of performance practice, a certain ‘biological’ struggle takes place between technological and ‘protein-based’ music-making. The struggle also has a more concrete historical basis. In many pieces from the mid-sixties onwards, images drawn from antiquity serve simultaneously to revitalise Xenakis’s memories of Athens during the resistance, of night-time crowds and tanks swarming through the darkness, of chance distributions and Brownian motions motivated by heroism and panic alike. The titles of his works become less abstract, as do the programme notes — most notably in relation to the electrifying choral work (Nuits) of 1968. 1968: The year of student uprisings throughout the Western world, a year when idealism and total disenchantment with every form of authority combined in an attempt to stage a social apocalypse, in which a Resistance spirit was rekindled, however briefly: that’s the key to Kraanerg. Nouritza Matossian, author of the Xenakis biography, tells how during the May revolution in Paris, Xenakis, living in the United States, “never missed a television broadcast or a news report”. But if Xenakis’s score is partly a document of turbulent times, it is also prophecy; the composer writes: “In barely three generations, the population of the globe will have passed 24 thousand million. 80% will be aged under 25. The result will be fantastic transformations in every domain. A biological struggle between generations unfurling all over the planet, destroying existing political, social, urban, scientific, artistic and ideological frameworks on a scale never before attempted by humanity, and unforeseeable. The seventy-five minutes of the Kraaner g score fall broadly into three more or less equal parts. In the first there is constant dialogue between tape and instruments, in the second the texture becomes more fragmentary, with frequent silences, while in the third, the tape part gradually overwhelms and displaces the live orchestra (this, too, may be prophetic . . .). The orchestra of 23 players also has three components: 5 woodwind, 6 brass and 12 strings (the tape, though based on the sounds of the same instruments, also provides the ‘missing’ percussion section. Each group is composed for as a separate entity with its own distinctive materials. The orchestra thus becomes a sort of triumvirate, entering into abrasive discourse with its ominous pre-recorded shadow. The string parts, for example, operate with a limited number of basic ‘musics’ such as (in order of appearance) high ‘spectral’ harmonics, seemingly chaotic (‘ataxic’) clouds of disparate sounds (glissandi, trills, tremolos, sound near or in the bridge), microtonal fluctuations around central notes, regular rhythms played with the wood of the bow, and dense blocks of very high or very low notes (or both at once). Sometimes these types are combined, but for the most part they remain distinct. Rightly or wrongly, one imagines each of the materials having been composed separately, as a huge, essentially uniform continuum, then cut apart, and reassembled as tiles within a vast mosaic. at the New South Wales Conservatorium of Music.